The Michigan 4-H Foundation Board of Trustees annually approves the distribution of competitive grant opportunities for 4-H programs. 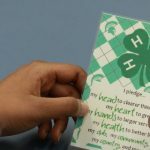 These mini grants are designed to encourage program planning and participation by 4-H members and volunteers in partnership with MSU Extension 4 H program staff. Grants are accepted from April 1– June 1 each year. April 1, 2019: Grant applications available online. 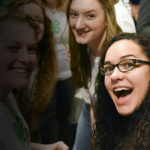 June 1, 2019: Grant applications due to Michigan 4-H Foundation. May 31, 2019: 2018-19 grant reports due for programs conducted Oct. 1 to Apr. 30. Sept. 30, 2019: 2018-19 grant reports due for programs conducted May 1 to Aug. 31. The Michigan 4-H Foundation Board of Trustees annually approves the distribution of competitive grant funds to encourage innovative 4-H program opportunities in local communities and in some cases for statewide programs. These grants are designed to encourage program planning and participation by 4 H members and volunteers in partnership with MSU Extension 4 H staff members. Grant applications are due by June 1. Supports county 4-H Shooting Sports programs enhance existing programs, develop a new program or offer a special experience related to 4-H Shooting Sports. Funded with support from Thomas Cobb, former Michigan 4-H Foundation president, and the Michigan 4-H Shooting Sports Endowed Fund. Supports the creation of local 4-H educational gardens in Michigan. Funded by the Albert A. Albright Endowment for 4-H Plant Science and Gardening Education. The Michigan 4-H Foundation, a public 501(c)(3) corporation, is organized to support Michigan State University Extension 4-H Youth Development programs, and as such, requires that all foundation grantees submit a signed statement of non-discrimination before receiving Michigan 4-H Foundation grant funds and/or using the services and/or collaborating with the foundation to deliver 4-H supported programs. The Acceptance and Civil Rights Compliance form documents your acceptance of the grant and agreement to the conditions for funding. Download the Acceptance and Civil Rights Compliance form. All mini grants must be accepted and initial grant acceptance paperwork completed and submitted to the state 4-H office no later than October 1. All grants awarded and not accepted by this date will be terminated and re-announced for award in the next Michigan 4-H Foundation mini grant cycle. May 31 for programs conducted September 1 to April 30. September 30 for programs conducted May 1 to August 31.